As a part of the continuous development the Registered Financial Planner Philippines, an in house RFP Forum was organized at Generali recently this year at Gercon Plaza Bldg., Makati City. It is a 4-day nonconsecutive event that was held last March 1 to 2 and March 31 to April 1. 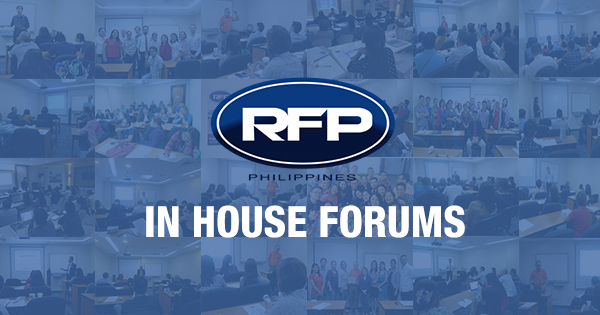 Moreover, in continuing the previous in house RFP Forums at Generali, there will be a new conference that will take place on Gercon Plaza Bldg., Makati City this coming June 28-29 and July 4-5.